Working on our 3rd best stroke. 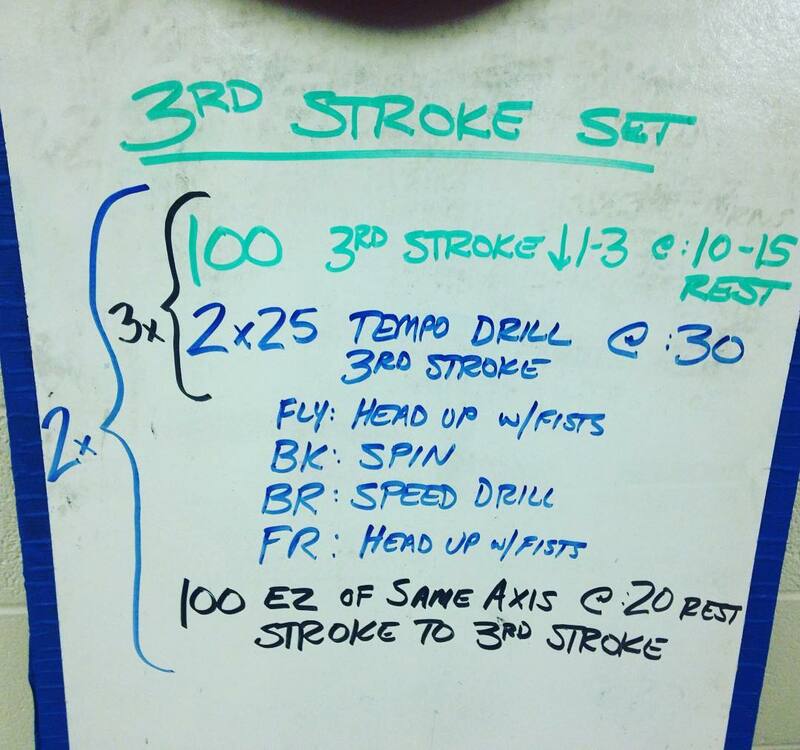 Speed Drill for Breaststroke = Head up, narrow pull, narrow kick, emphasis on pressing the torso forward rapidly. 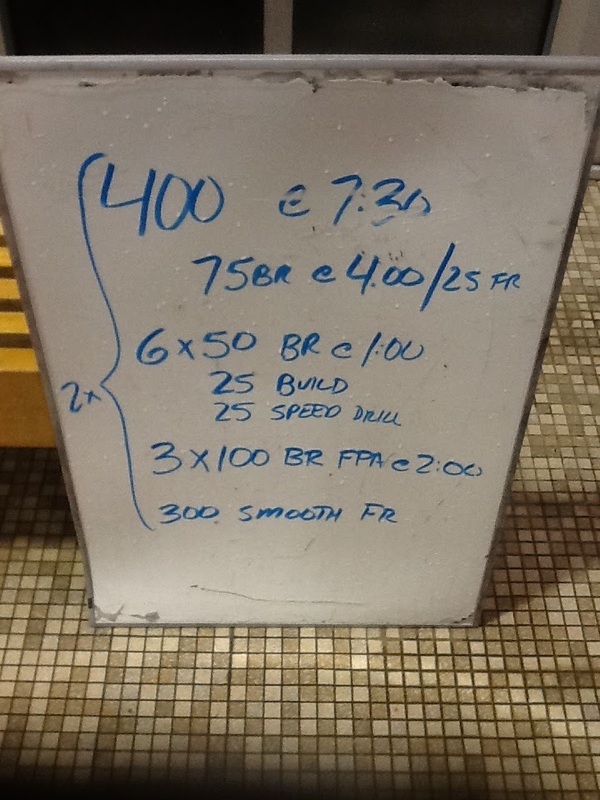 This was a breaststroke set we did tonight that concluded with some good results. The 400 at the beginning is done with a tempo trainer set at 4.00 seconds, and the swimmers performed one cycle breast each beep (this is long-glide breaststroke!) for a 75 and then swam a 25 easy freestyle four times through. For the 50s, the focus shifts from stroke length to stroke tempo. The first 25 is build, and then the second 25 is “speed drill,” essentially a head-up narrow-pull narrow-kick version of breaststroke that gets their tempo and hand speed up. The 3 x 100 s are “fastest possible average” on a big 2:00 interval. We got excellent results with good-looking strokes. In my opinion, kicking speed (specifically the recovery portion of the kick) is the limiting factor for most swimmers when it comes to breaststroke tempo. Speeding up breaststroke tempo thus must start from the legs. This set focuses primarily on kicking foot speed, and then works briefly on the pull, then finally on overall stroke tempo.